All of Fiber Optic Patch Cord 100% pass 3D interferometer test. OFS, Draka, Corning, YOFC optical fiber available. 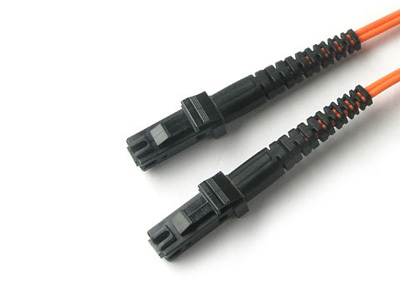 SC fiber patch cord is one of the earliest stype and one of the most commonly used fiber optic cable, it is convenient to use and cost saving – It is the most cheapest type fiber optic cable. 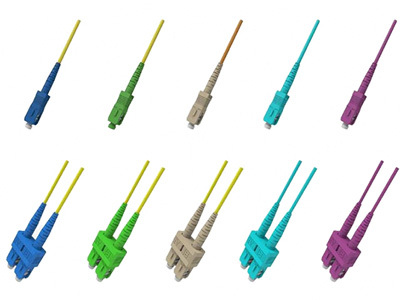 SC fiber patch cable is widely uesed in fiber optic networks. SC fiber patch cable is with zirconia sleeve and plastic housing. 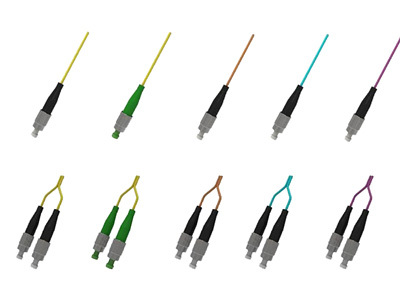 Aminite supply LC Fiber Optic Patch Cord and LC fiber patch cables, including single mode 9/125 and multimode 50/125,multimode 62.5/125, LC LC,LC SC,LC ST,LC MU,LC MTRJ,LC MPO,LC E2000,LC FC. 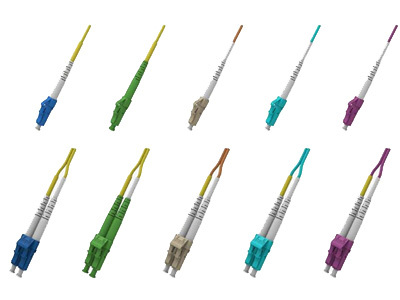 Other LC fiber patch cable types also available for custom design. Excellent quality and fast delivery.